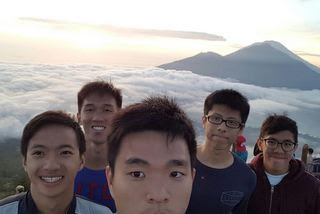 Bali as the known for its natural beauty is available with one of the top challenge by doing the Mount Batur climbing. 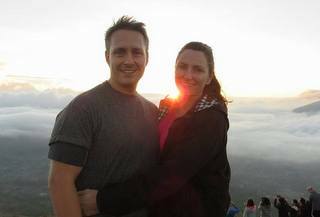 Mount Batur climbing especially at sunrise, very impressive and it will feel how the greatness of their Creator. 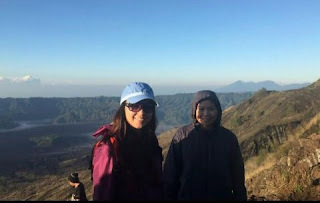 Natural tourism activity to climb Mount Batur in Bali can complement your experience during the vocation in Bali. Mount Batur is the highest mountain no.3 in Bali after Mount Agung and mount Batukaru but has the clearest crater view than 2 others. Mount Batur erupted and had several times is still considered an active volcano. From South Bali the tour may start at 2 am and drive for almost 2 hours to the location, Nature Hike Mount Batur is a very memorable experience. Departed at 04.00 am from Pura Jati area where the climb begins accompanied by a local guide with a torch to the summit of Mt. At about 6:00 am until the top, we will be greeted by an amazing sight when the sun rises from the dusk. Enjoy the view of Mount Rinjani in Lombok Island and possible to viewing the crater of Mount Agung from above. On the way down the monkeys will swarm occurred along the way. The tour may get back your hotel by 1 PM since we must concern of safe drive after keep awake from 1 AM. If any time leave possible for you to stop by hot spring.